ROOT POUCH There are 19 products. 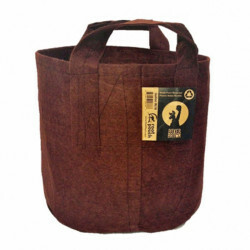 Check out our range of pots Root Pouch, these containers are also called brown poot are deeply rooted in sustainable development, they are processed from recycled water bottles and cotton fibers, they are revolutionizing the pot in geotextile. Very practical in addition to being among the pots the more ethical of the market from an ecological point of view, these jars can easily store and bring a touch of originality to your garden or vegetable garden. 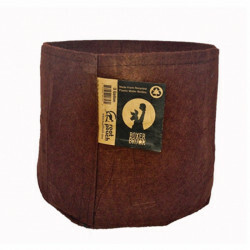 These root pouch will suit perfectly to the hydroponics and table tide, the pots are reusable, season after season, and are even washable, they offer many benefits for the culture. The other obvious advantages are its relation yield / price thanks to a design in recycled plastic, which facilitates the movement of the fundamental elements for the proper development of your plants : water and air, this is due to very good ventilation. Designed to be effective and respectful of the environment, they will suit both the neophytes and the gardeners confirmed, the earth, the seed and the growth of your plant will begin in the best conditions. 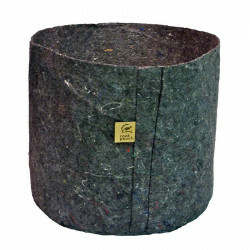 In short, for the indoor growing or outdoor home with a very good price, go for the pots textiles and trays root pouch , which will offer you a rate of return unbeatable. For any question or information on your areas of culture and the range of pots, please contact us via the website or by phone, all questions are welcome.